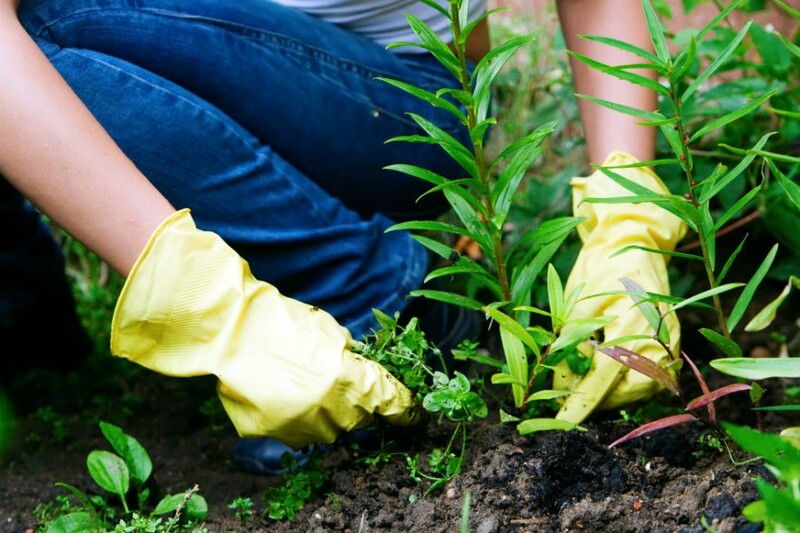 For many homeowners, gardening is more than a hobby or a way to increase the aesthetic appeal of their property. It is a therapeutic release and a way to escape from the rigors of everyday life. Both diehard gardeners and those who only keep a few potted plants in the backyard have an enemy in common: aphids. Aphids are small insects that can have a huge impact on the health and appearance of your garden. Here is some valuable information about aphids, including how to get rid of these pests. Although they are small, aphids can cause some serious damage to your garden and landscape. An adult aphid is typically one-eighth of an inch in length. Many gardeners believe that aphids are either green or white. Aphids can actually be several different colors, including black, orange, yellow, and gray. There are wingless and winged adult aphids, as well. Most adult aphids do not have wings. However, if you have an abundance of aphids in your garden or landscape, some of them will grow wings to find a new food source. Aphids also have antennae and a large, sucking facial appendage they use to remove the nutrients from plants. What Are the Signs of an Aphid Infestation? The leaves of the plants will begin to wilt and turn yellow or brown. Eventually, they will fall off. This occurs because the aphids drink the nutrients that the plants need to thrive. A sticky substance called honeydew will cover the leaves and stalks of the plant. This substance is secreted by aphids when they land on plants. Other insects, particularly ants, will be attracted to your garden because of the high sugar content of the honeydew secreted by the aphids. If you notice an abundance of ants in your garden, the issue might be an aphid infestation. The sweet honeydew also creates the ideal environment for the proliferation of sooty mold fungus. The fungus is black and when it spreads, and it will make it difficult for plants to soak up nutrients from the sun. Aphids are not only an annoyance, they are also very dangerous for your plants. What Impact Can Aphids Have on Vegetable Gardens? If you have a vegetable garden in your backyard, it is just as vulnerable to aphid attacks as your plants and flowers. In addition to the damage caused by the secretion of honeydew and the loss of nutrients, aphids also carry a variety of lethal plant viruses that can destroy your vegetable garden. For example, aphids will carry a virus called sweet potato feathery mottle virus, which affects sweet potatoes. Squash, pumpkins, zucchini, and watermelon are susceptible to the papaya ringspot virus, zucchini yellow mosaic virus, and the watermelon mosaic virus. Even if there isn't a widespread aphid infestation in your garden, your vegetables may still not be safe from these viruses. It only takes a handful of aphids and a few minutes to spread any of the above-mentioned viruses, which can destroy your backyard garden very quickly. How Can You Keep Aphids Out of Your Garden? The most effective way to prevent aphids from destroying your flowers, indoor plants, and vegetable garden is to keep them off your property. One of the simplest ways to prevent aphids from entering your garden is to introduce a natural predator: the ladybug. Ladybugs will consume aphids, and you can either introduce them into your garden or plant flowers and other foliage that attracts ladybugs. Ladybugs are attracted to several types of plants, herbs, and vegetables, including parsley, calendula, common yarrow, butterfly weed, and bachelor button. If you're planning to plant a new garden or introduce potted plants into your home, make sure that the chosen area or the plants inside your home aren't already harboring an aphid infestation. If so, you will need to get rid of the existing aphids before you introduce any new plants or vegetables. How Can You Get Rid of an Aphid Infestation? The method you use to get rid of the aphids in your garden or indoor plants is dependent upon the degree of the infestation. If the infestation is localized, such as in a single indoor plant or a small patch of garden, you may be able to get rid of the aphids and their eggs with your garden hose or an insecticidal soap. However, if the infestation is widespread or you aren't able to control the smaller infestation on your own, contacting a professional is the best option. A professional can help you get rid of the aphids in your garden and provide you with the tools and knowledge to ensure that aphids don't return. Aphids are a common problem that can be eliminated with the help of a professional. If you have any further questions, contact Greenleaf Organic Pest Management.